The fog before the freeze. It was nearly 40 degrees in the Twin Cities today, and tomorrow it will fall to 10 with a stiff wind. So it felt like spring, wet and warm. 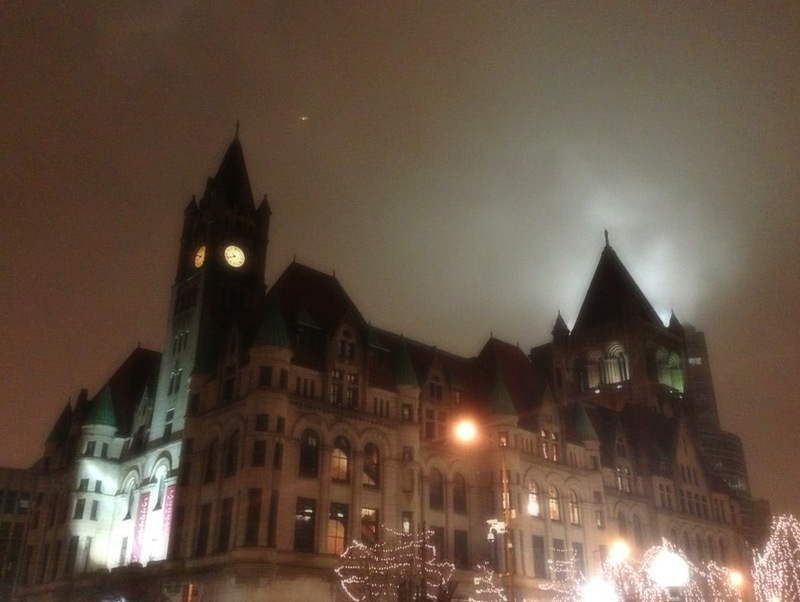 This is Landmark Center in downtown Saint Paul, and day 11 of Photo 365. This entry was posted in Photography and tagged Landmark Center, Photo 365, Saint Paul. Bookmark the permalink.